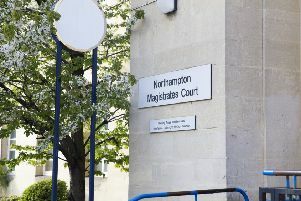 Northamptonshire Police’s biggest ever narcotics crackdown saw a further 15 people plead guilty to supplying class A drugs in a single court sitting on Tuesday. In the last fortnight of April the force carried out more than 80 warrants at properties in Wellingborough and East Northamptonshire in a bid to tackle those people involved in the supply of drugs. On Tuesday, 22 of the 46 people charged with offences as a result of the raids appeared at Northampton Crown Court. Liam Stray, 37, of Blackwell Close, Earls Barton; Daniel Coxall-Carr, 25, of Abbots Close, Wellingborough; Jamie Phillips, 36, of Abbey Road, Wellingborough; Helen Moore, 26, of Arkwright Road, Irchester; William Owen, 22, of Leighton Buzzard and Charles Holland, 29, also of Wellingborough, pleaded guilty to two charges of conspiracy to supply cocaine and for supplying cocaine to another. Nathan Inkley, 23, of Arkwright Road, Irchester; pleaded guilty to one charge of conspiring to supply cocaine and George Russell pleaded not guilty to both offences and will face a trial on August 3 at Northampton Crown Court. Paul Bush, 37, of Ragdael Close, Rushden and Daniel Coxall-Carr, 24, of Abbott Close, Wellingborough pleaded guilty to two charges of conspiring to supply cocaine between July 2014 and January 2015. Guilty pleas on conspiracy to supply cocaine charges were also forthcoming from Stuart Bailey, 31, of Bryant Road, Kettering; Benjamin Monagahan, 34,of Wymington; John Parker, 48, of Welford Avenue, Irthlingborough; Nathan Rennoldson, of Cowper Close, Irthlingborough; Callum Mains, 29, of Holland Avenue, Raunds and Bradley Hall and Tuayyab Ulshan, of Bury.